Patient safety and quality care are central to all we do at Hawkesbury and District General Hospital (HGH). To constantly improve care, services and patient outcomes, we collect and analyse data and report on quality indicators. 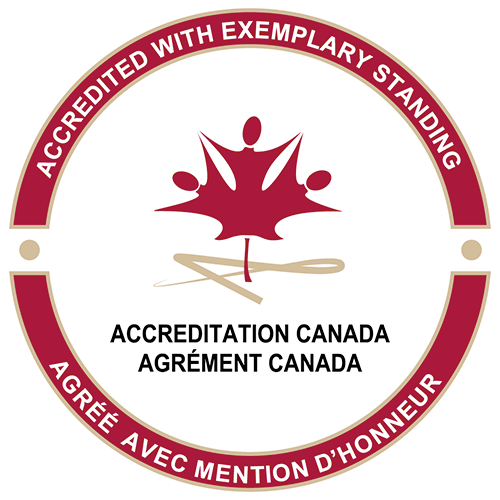 In 2010, the Ontario Government passed the Excellent Care for All Act. This legislation requires public hospitals to develop and post annual Quality Improvement Plans (QIP). A QIP is a tool designed to help hospitals set system-wide quality improvement targets, with results measured through several key indicators. The QIP includes a definition of each indicator, the data source and the reporting period. Our current Quality Improvement Plan focuses on continuous improvement in all areas of service delivery, patient satisfaction and access to care in a climate of continuous change and fiscal constraints. The planning of a major redevelopment project is also at the heart of our QIP. Health Quality Ontario is making QIPs publicly available to encourage shared learning within and across sectors. Search the posted plans to read about successes, challenges, emerging trends and key insights. Data goes back to fiscal year 2013-14 and features Progress Reports, Narratives and Workplans. To view the Hawkesbury and District General Hospital reports and plans, visit QIP Navigator.